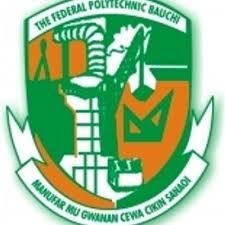 The Federal Polytechnic Bauchi, FPTB Screening and Registration Exercise Notice to Fresh / Newly Admitted National Diploma, ND and Higher National Diploma, HND Students for 2018/2019 Academic Session. This is to inform the general public especially the newly admitted students into the Higher National Diploma HND, National Diploma, ND and other programmes run by the Federal Polytechnic Bauchi that SCREENING for the Students Registration for 2018/2019 Session is ONGOING in all the Departments and the Bursary section of the Polytechnic. All newly admitted students are hereby advised to visit their respective departments for the screening and registration for the 2018/2019 session. While the Federal Government is making efforts to engage the National Leadership of the Unions, the registration exercise is ongoing as lectures and other academic activities will commence immediately the ASUU Strike is called-off . Also See: Federal Poly Bauchi School Fees Schedule - 2018/2019 | ND & HND.